Meet our newest team member! We recently purchased the newest and best drone out there! 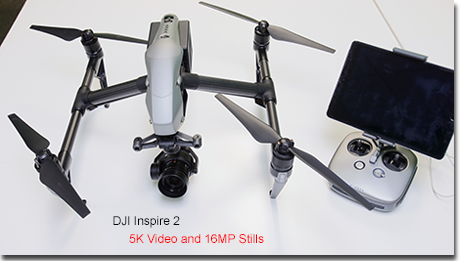 This is the new DJI Inspire 2, which can shoot 5K video and 16MP stills. Its dual battery design gives it a failsafe and the ability to fly for nearly 25 minutes! One of our customers wanted to join us on a helicopter flight around downtown Indianapolis. She had such a great time documenting the flight and made a fun video to show what it was like. Check it out!